Hannah is worried about her upcoming trial, but the judge’s sudden death starts Hannah, and everyone who visits The Cookie Jar, Hannah’s and Lisa’s cookie and coffee shop, started on a new investigation. Even better, a trip to Las Vegas with her sisters for their mother’s surprise wedding helps Hannah finally make up her mind about which of her two longtime boyfriends, a dentist and a police detective, she should marry. A mysterious subplot involving Hannah’s kleptomaniac cat Moishe adds humor, and the included recipes add sweetness. This cozy mystery series set in Lake Eden, Minnesota, had been getting too predictable, but not anymore. I listened to the audiobook, so I’ll have to look at the print book to try some of the recipes. 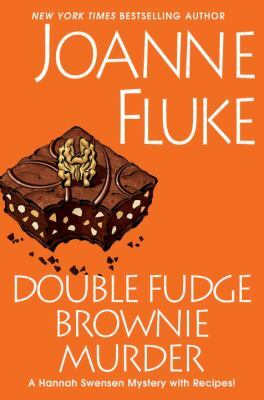 If you want to start at the beginning of the series, read Chocolate Chip Cookie Murder, or look for the movie version on television next month.